As parents, we want to fill our children’s’ lives with the best memories possible. While they might think that those memories should consist mainly of video games and television, we know better. The greatest childhood memories involve adventures; swimming at the local pool, emerging victorious from a nerf war, or learning how to drive in your very first set of wheels. Since it would not be advisable to hand them the keys to the minivan just yet, many companies make small vehicles designed just for tiny bodies. Whether you are looking for something designed solely for outdoor treks, or that your little one can tool around the house in, there is an electric car for you. Or rather, your kiddo. Although, we must confess that some of these little ATVs are cool enough to tempt any parent to try and squeeze into the driver’s seat. Here are some of the best power wheels out there. This Ride-On car earned the top spot on our list for its overall performance, safety, and, of course, its fun extras. The Jeep can comfortably seat two, features a rear storage area, and the brakes will automatically engage when your child takes their foot off the gas. While capable of reaching up to five mph, you can engage the high-speed lock-out so that your rocket kid can’t exceed a 2.5 mph limit. While those are undoubtedly appealing facts for Mom and Dad, your little one will probably be more interested in the microphone and its amplifying speaker, the radio that is preloaded with songs and sounds, and the fun decals that give this Power Wheels its finishing touch. Through damp grass, divets, or mud, this little vehicle is up for whatever challenge your backyard throws its way. With wide, sturdy tires that are built for traction, your kiddo can power through tricky terrain with ease. Depressing the pedal accelerates the car forward, while a twist of the hand throttle gives it a bit more juice for speeds up to 5 mph. Don’t worry; you can contain newly minted drivers to a leisurely 2.5 mph to start them out. That low-rider design isn’t just for looks; tots will love being able to get on and off of this tiny ATV all by themselves. Your little one can reach speeds up to 2 mph by pushing and holding an acceleration button on the handlebars. The wide set design makes this ride-on car easy to handle and stable enough for a child who is still working on their coordination and balance skills. The tires provide plenty of traction for outdoor adventures, but the quad is small enough for your kiddo to enjoy indoors as well. Your tot will be snug and safe in the highback seat of this little train. Your kiddo will have no problem using the footrests to hoist themselves onto this low riding engine. They can easily accelerate the little vehicle by pushing a button on Thomas’ handlebar. With a maximum speed of 2 mph, you will easily be able to keep up with your child’s road trips both indoors and out. Charging, however, can be tricky as there is a small of amount of disassembly required. This two-seater proves that it’s never too early to start cruising in comfort and style. If realism is your thing, you probably won’t need to look much further than this car. The doors open and close, the interior is spacious and mirrors that of a real Mustang, and there is even a cupholder. Your kiddo can reach a cruising speed of 5 mph, but you can limit your novice driver to 2.5 mph if you choose. Stopping is easy; all your child has to do is take their foot off the gas pedal, and the braking system automatically engages. If your children love to explore the wild outdoors, this tough Power Wheels won’t leave them stranded. Whether you want to start your kiddo off with a 2.5 mph speed limit or allow your experienced driver to hit cruising speeds of 5 mph, this Power Wheels is up for the challenge. The steel frame provides extra support for its passengers while the high backed seats and sidebars offer a safe ride. 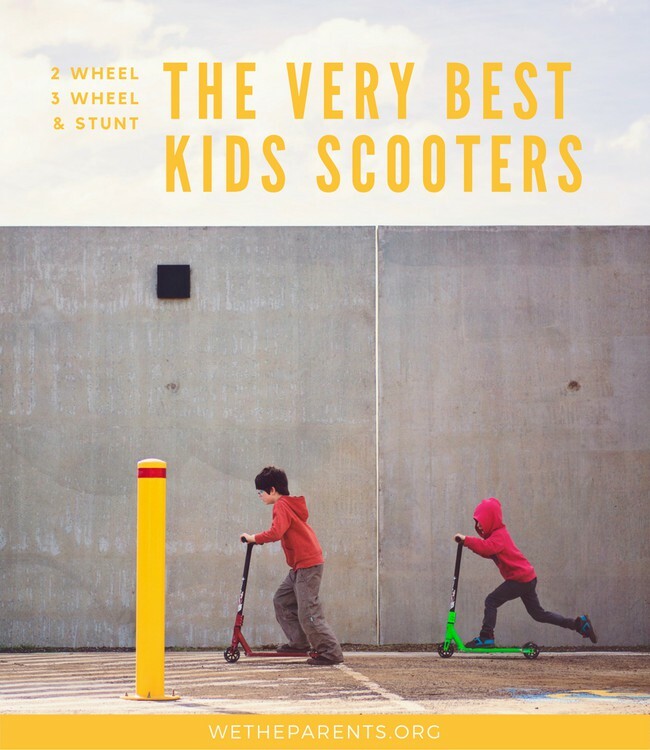 The wheels are capable of tackling both flat and uneven terrain, wet or dry, with ease. If your kiddo is picky about what their toys look like, they will delight in the many options this electric car offers. With six unique designs to choose from, your little driver will get to feel quite novel in his ride, but this miniature vehicle is more than just a pretty face. With Soft Start, acceleration is gradual so as not to overwhelm a young driver, and the car can reach speeds between 3 and 5 mph. You the parent can also take the wheel with the Parental Remote, which allows you to accelerate, brake, steer, and reverse the car. This little vehicle will provide older kids with a bit more zip, but doesn’t compromise on safety. A steel frame encases a comfortable bucket seat, which includes a safety belt. The dune buggy also has a side roll cage to ensure maximum protection during playtime, and a textured floor for foot traction. Best suited for older kiddos, the acceleration and braking controls are on the handlebars and speeds of up to 10 mph can be reached. When it’s time to put away the electric cars for the day, you can simply fold this car up and store it out of the way. Your teens will love the adult feel, speed, and comfort of this mini motorcycle. If your daughter is just mad for the Frozen universe, this electric car features decals and a color scheme that will have her asking you for a warm hug. The colorful doors on this vehicle open and close, so your little girl will have no problem getting in and out. You can limit her speed to 2.5 mph with the high speed lock-out, but, once you deem her a safe driver, the car can reach up to 5 mph. A simple flip of the switch allows the car to reverse and, as its built for two, she will be able to have her favorite pal as a road trip companion. She might want to avoid tricky terrain when driving with the high speed lock-out on, as the tires can have a difficult time gaining traction at the lower speed. If your kiddo loves country living, this ride-on car will make free play a heyday. Your little farmer won’t be lacking extra features with this toy. It includes a working FM radio, adjustable seats that include armrests, and an actual trailer. Be careful when carting things around, however, as the tractor does not have a back hatch door, possibly allowing cargo to slide out. Beginners can be limited to speeds of about 2 mph, while more seasoned drivers can tool around at up to 4.5 mph. The automatic braking system makes stopping easy, and it functions well on all kinds of terrain. Your tot is a long way from owning their own motorcycle but is sure to enjoy feeling like a mini biker on this detailed trike. Cruising along at a maximum speed of 2 mph, your kiddo will find that this toy’s footrests and large handlebars make for a comfortable, controllable ride. A push button accelerator propels the Lil’ Quad forward, with the Power Lock Brakes engaging as soon as the button is released. The base of the vehicle is low to the ground, so shorter or average sized children can get on and off with ease, but its small stature might not provide enough space for taller children. Your kiddo can feel like a real-life hero as they ride around in their own fire truck, which includes sirens and sprays water from its hose. This fire engine can race to the “fire” at 2.5 mph or 5 mph; you choose when they are ready for a higher speed by simply removing a screw by the shifter. Two siren sounds are included, as is a hose that really sprays water, and two high-backed chairs that include seatbelts. The lights really flash, and it is capable of going in reverse. If your kiddo is a lover of trucks, then this ride-on’s appearance will certainly appeal to his sensibilities. The realistic sounds, LED lights, working horn, and preloaded radio will bring your kiddo plenty of playtime perks. They can also connect an MP3 player for more variety in their road trip tunes. Parents, meanwhile, will appreciate the seatbelt and remote control that allows them to take the wheel. The truck can travel at speeds of up to 3.7 mph. If you have a kiddo who likes to turn heads, this flashy luxury look-alike vehicle might be a great choice for them. Whether your child is looking to take the wheel or would feel better with you guiding their way via remote-control, this car offers plenty of creature comforts. It has an auxiliary cord jack for you to connect an MP3 player, as well as a radio that comes preloaded with songs. The realistic sound effects and working lights are also sure to be a hit with your girl. As the parent, you will appreciate the seatbelt, highbacked chair, and relative ease with which it’s assembled. With plenty of realistic detailing, this is an excellent choice of toy for boys who can’t wait to have their own fancy set of wheels. This mini sports ride-on features a BMW emblem on its hood, a jack to hook up an MP3 player, and a comfortable interior with a highbacked chair, which comes complete with a seatbelt. The maximum speed possible with this vehicle is 2.5 mph, so it will probably be a bigger hit with younger boys than older ones. If your kiddo is looking for something as fancy as one of James Bond’s cars, and you are able to foot the bill, this car will tick a lot of luxury boxes. Able to reach speeds up to 6 mph, this ride-on has several selectable drive speeds, can be operated by a parent via remote or manually by a child, and is reverse capable. Beyond that, it has working blinkers, headlights, and backup lights. It certainly shines in terms of its tech-compatibility; the car has a built-in Android Tablet in the dashboard that is wifi ready and plays MP3s through internal speakers. In short, this car is a lot; quite possibly more than what the average person is looking for in a toy. Beyond the high tech innovations, however, this car does feature a comfortable suspension system, all-wheel drive, and high-backed bucket seat, complete with a four-point harness. Assembly is also relatively easy, as the car is mostly put together when it ships. We’ve rounded up answers to the most common questions parents have about Power Wheels and electric ride on vehicles. What Are Ride-On Cars for Kids? The short version is that they are a toy that will create lasting memories for your child to cherish all their life. Ride-on cars come in all shapes and sizes, from trucks to trikes and everything in between. Some are designed for outdoor use only, but many models can be driven indoors as well. What are Appropriate Ages for Ride-On Cars? The great thing about this type of toy is that the variety means there really is something for everyone. While you might be hardpressed to find a vehicle that a child under 12 months can use, the reality is that companies make ride-on cars for everyone from tots to teens. How Fast are Ride-On Cars? There is a bit of variability as to how fast these cars can travel, but none of them are going to be winning the Daytona 500 anytime soon. Our favorite models for our younger family members tended to have a low-maximum speed of around 2 – 2.5 mph. This is ideal for children who are just learning the ropes; you will easily be able to catch up to them should they need your help, and they will have a longer reaction time to avoid objects, brake, etc. The maximum high-speed limits, meanwhile, tend to hover around the 5 mph area. Ride-on cars geared towards older kids or teenagers will often be able to reach speeds into the double digits, so to make sure whichever model you choose is appropriate for your kiddo’s skill level in terms of speed. It is important to do your research about the specific brands in which you are interested. Be sure to check for recalls, and consider what you personally find to be acceptable safety features in an electric car. While many ride-on cars have a generous age-span, don’t ever put your child in something that they are too young to use. Ride-on cars aren’t shoes; don’t buy bigger with the assumption that your child can grow into it without incident. Similarly, pay attention to weight limits. A child too large for an electric car is at risk for injury. Many ride-on cars come with two maximum speeds, with the higher one only reachable after the parent removes what is often called a high-speed lock-out or governor. Often times, making this adjustment is as simple as taking out a screw; no fuss, no muss. What are the best batteries for Ride-On Cars? These fun toys are powered by rechargeable batteries. For the most part, you will only have to pick between two voltages, but some ride-ons geared towards older kiddos will have ‘connected batteries’ to increase the power. Are Ride-On Cars Hard to Assemble? This is very dependent on what model you ultimately purchase. All reputable cars for kids should include detailed instructions on how to put it together. Tools, however, are not always provided. It would be wise to make sure you have things like a flathead screwdriver, Philips screwdriver, and wrench handy, less you have to make an unexpected visit to your local hardware store. Different brands will have different designs, so you should be sure to check with your specific model of choice to be entirely sure about its particular waterproofing or lack thereof. With that said, most ride-on cars are outdoor toys and made of materials that would be fine having been exposed to damp, and yes, wet conditions. So, for example, you won’t break the ride-on car by driving in the grass after a rain shower, but you shouldn’t leave it exposed to the elements in a downpour. Avoid exposing the battery to water for any extended period of time and take care to keep the internal workings dry; if overexposed to the elements you might end up with corrosion or other damage to the battery or motor. Can I Modify a Ride-On Car? Many parents upgrade their child’s ride-on, in fact, there are online communities dedicated to doing just that, but you should take care to do plenty of research before you give it a go. Also be aware that any modifications are likely to void an existing warranty and should only be undertaken only with strict attention to safety. Common changes include upgrading the motor, increasing the battery voltage, and adding tread to the tires (check above vid). Some people will brave more extensive modifications with amazing results (see video below). If you are not mechanically inclined, it’s probably safer to let your children enjoy their car as is. Dad’s, we’re looking at you! Solid and reliable all-rounder which is likely to tick all the boxes for kids and parents alike. Ride-on cars can make great gifts, and there are so many to choose from that you are sure to find the perfect one for your kiddo. 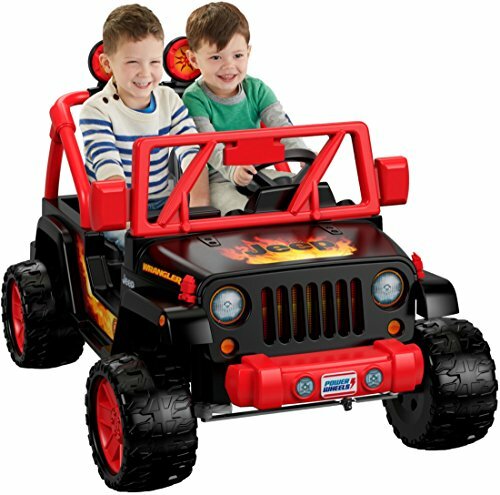 If you are looking for a product that will provide years of entertainment, we personally stand by our top pick for the best power wheels, the Power Wheels Tough Talking Jeep Wrangler, for its inclusiveness across age groups. Appropriate for children three to seven years old, it has a high weight limit, plenty of fun features, and comfortably sits two. Despite utilizing a 12V battery for better power, it still allows parents to limit their child’s speed. While not the cheapest on our list, it comes with a moderate price tag that is easily justifiable considering the years of use it will provide, along with the included extras and high-quality construction.